Our bodies depend on being hydrated to function properly. Cells, organs and tissues need it to regulate body temperature and our blood, bones and brain need it to retain moisture. Water also helps lubricate our joints and spines. In order to keep our bodies in full operation, we have an important job to do: stay hydrated! When we lose more fluid than we take in, we can get dehydrated which can lead to some uncomfortable symptoms and potential complications. Here, we’ll be explaining how to tell if you’re dehydrated, including common signs and prevention tips. 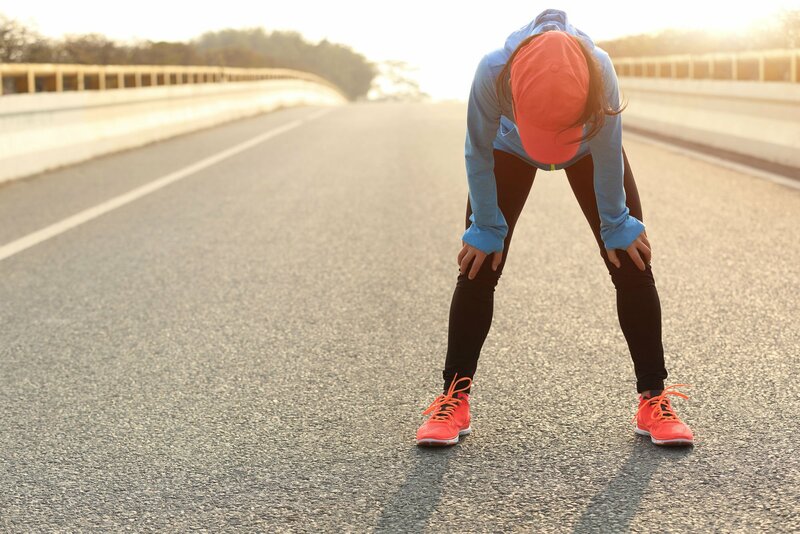 Dehydration can happen to anyone at any time — not just to athletes in warm climates. Generally, not drinking enough water, losing too much water or a combination of both can cause dehydration. Diarrhea – This causes the body to excrete too much water. Vomiting – Similar to diarrhea, vomiting leads to a substantial loss of fluids. Sweating – This releases a lot of fluids quickly, especially during hot weather or physical activity. Fevers can also cause sweating, which is why taking in fluids when you’re sick is so important. Frequent Urination – Alcohol and certain medications (diuretics, antihistamines, blood pressure medication) can lead to excessive urination, which can dehydrate you. Besides an increased level of thirst, your body will exhibit other symptoms that will tell you if you’re dehydrated. These signs and symptoms are important to pay attention to. If ignored, you could risk injury or further complications. If dehydration is left untreated, the following severe symptoms can occur in both children and adults. Chronic illnesses like untreated diabetes or kidney disease can also put you at risk for more severe case of dehydration. Repeated instances of dehydration can lead to urinary tract infections, kidney stones and kidney failure, which is why it’s important to attend to the condition as soon as possible and prevent future occurrences of dehydration. Mild dehydration from physical activity or heat will make you thirsty, so replenish fluids as necessary. Water should be your go-to beverage, but you can also drink beverages with electrolytes. You should stop any physical activity and rest in a cool, shaded area until you start feeling better. For serious cases of dehydration, you may need to visit a doctor to be treated with intravenous (IV) fluids. If you have any of the severe symptoms listed above, you should seek medical attention. First and foremost, you should drink water regularly throughout the day to prevent getting dehydrated. It helps to have a refillable water bottle with you — whether you’re at school, work, or practice — so that you always have a reminder to drink water. In hot weather or when you’ll be doing a lot of physical activity, know that you need to drink more to replenish fluids that will be leaving your body quicker than normally through sweat. And if you’re sick with a fever, vomiting or diarrhea, it’s important to start replacing fluids quickly since there’s a higher risk of dehydration. Alcohol can cause cells to shrink, which squeezes extra water out and creates frequent urges to use the restroom. An excessive caffeine habit — more than 500 milligrams a day, or more than five cups of coffee a day — can also dehydrate you. Sodas and energy drinks are also full of caffeine and sugars, which will pull water from your tissues and cause you to use the restroom more than usual. Our bodies do a lot for us. Make sure you help your body perform at its best by drinking enough fluids to stay hydrated! Play smart! Our doctors have advice on how to stay healthy throughout the season.